Item # 319303 Stash Points: 3,800 (?) This is the number of points you get in The Zumiez Stash for purchasing this item. Stash points are redeemable for exclusive rewards only available to Zumiez Stash members. To redeem your points check out the rewards catalog on thestash.zumiez.com. 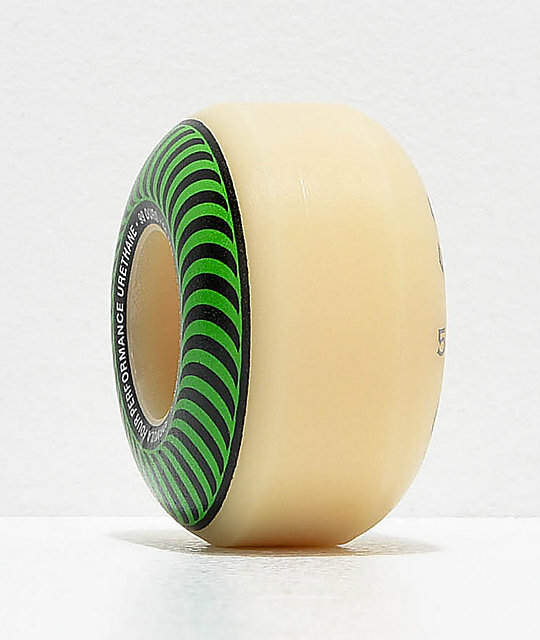 Boost your acceleration with the Spitfire Formula Four Classic 52mm 99a Skateboard Wheels. These durable wheels are flat spot resistant and come in a 99a rated durometer for controllable power slides and grip. Constructed in a smaller 52mm sizing, these smaller wheels reach top speed quickly, ideal for plaza and technical park riding. 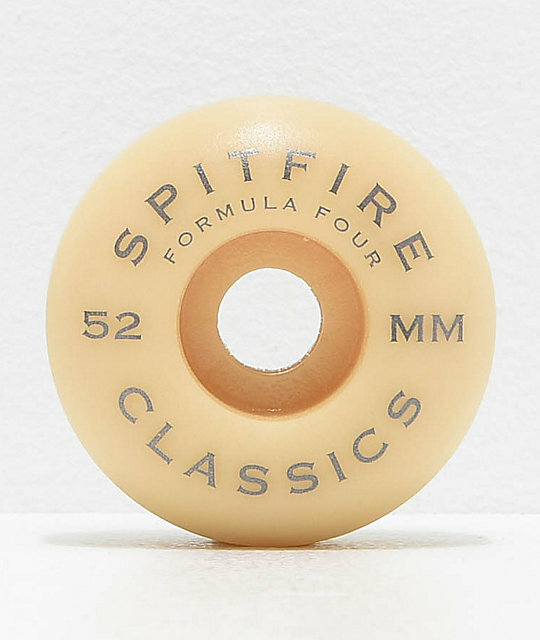 Formula Four Classic 52mm 99a Skateboard Wheels by Spitfire. 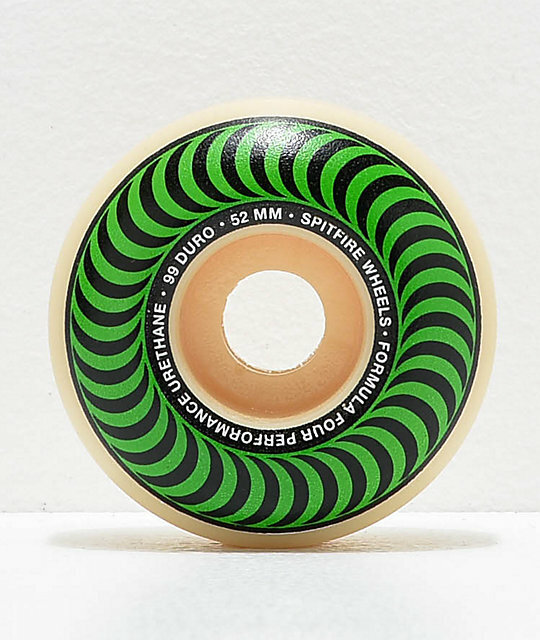 Spitfire's latest Formula Four urethane design. Spitfire's Classic wheel shape for proven speed and control. 52mm sizing, 99a durometer hardness rating.